Book Fair will be here Sept. 28-Oct. 2!!! 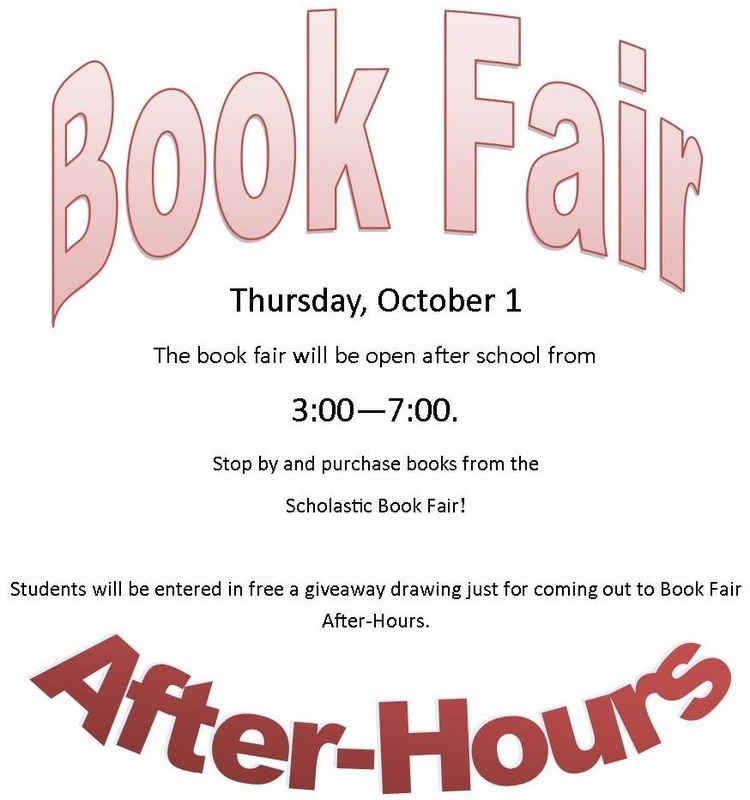 Students will be entered in a daily drawing for a free book each time they buy something at the book fair.